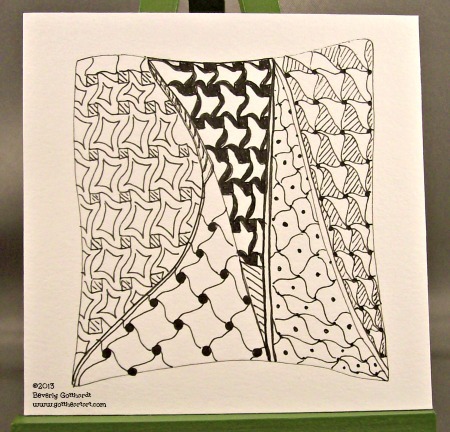 As a self taught tangler I have tried the tangle Cadent several times while picking up this art form. I had not had very much success with this tangle but after some study the step outs Roy gave us a link to and slowing down I think I have got the hang of this one now. I have decided that I like it and will be using it more often. I had the same 'problem' as you in the beginning. But, also after a while I managed to do it and now I love it. It´s very lovely! It has a quite clear and straight-line compositon!